Varun Dhawan and Anushka Sharma transform themselves for Sui Dhaaga – a film that is set in India’s heartland. This is the big revelation! Meet Mauji aka Varun Dhawan and Mamta aka Anushka Sharma and these two have completely outdone themselves to get into the skin of their characters in Sui Dhaaga – Made in India! 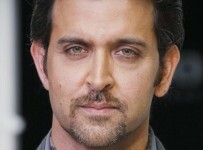 The two superstars are sporting never-seen-before looks in the film that is set in the heartland of India. Their looks are certainly going to be a massive talking point given how authentic and perfect they are basis the milieu of the film. Yash Raj Films’ entertainer Sui Dhaaga – Made in India is set to release on September 28 this year, right before Gandhi Jayanti. Varun plays the role of a tailor and Anushka plays an embroiderer in the film. 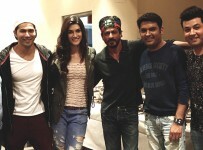 Dilwale team watches Kapil’s debut!